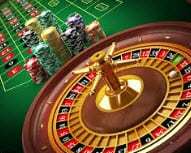 Roulette tables are often associated with the rise of casinos throughout the world. The game is easy to play, and many people can join in the fun at any given time. A casino without European roulette or American roulette just wouldn't seem like a real casino. Both types of roulette have relatively low percentages attached to their house edges. European roulette has a house edge at 2.7%, while American roulette is slightly higher at 5.6%. 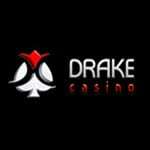 These odds are good for players, which is why this style of gaming has become so popular. The original version of roulette dates back to the mid-seventeenth century when Blaise Pascal, a French mathematician, first invented the roulette wheel. While he wasn't actually trying to invent a game, his idea quickly developed into one. Since that time, the game of roulette has changed in a variety of ways, each of which has led to the creation of new versions of this game of chance. Roulette is played using a wheel of out-of-sequence numbers. Each number is set in black or red coloring, except for a single or double zero, which is set in green coloring. American roulette features a single zero, a double zero, and the numbers 1 through 36. European roulette features a single zero and the numbers 1 through 36. The board features the numbers in consecutive order in three columns. Bets are placed on the board, by as many as eight players, the maximum number of individuals allowed to play. The bets go against the casino. Once the bets are placed, the wheel is spun. Winning bets are paid, and all other bets are cleared from the board. 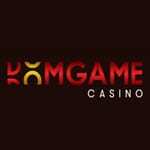 Land-based roulette offers a traditional experience in which players exchange money for chips, place their bets, and enjoy small talk with other gamblers. The chips vary in color, but the excitement is the same for everyone. Whether you decide to play American roulette or European roulette, the table limits are always clearly listed for you to see. Roulette chips are different from other casino chips, and you need to switch them back to regular chips when you decide to leave the table. You can use them to continue gambling elsewhere or take them to the cashier's cage to exchange them for cash. Traditional casinos have a higher level of expectation in the dress code for anyone deciding to sit at their Roulette tables, but you can expect most of today's casinos to wave that requirement.